For those of you who are interested in learning more about the 金山巨石群 Kanayama Megaliths and about visiting 飛騨金山 Hida Kanayama, we would like to recommend that you visit this website. It is the official website of the Hida Kanayama Tourist Association. It is full of photos, events, what to do, and how to get there. However, it is entirely in Japanese (at this time). If you do not read Japanese, we recommend that you use the Google Chrome browser and opt for a translation into your language of choice. While the automatic translation is not ideal (for example, it will give you for 金山, the word ‘Jinshan’ instead of ‘Kanayama’), it will give you general information. You can check some of the details against our own posts about visiting Kanayama here, here, and here. On this Iwakage blogsite, we have much of the same important information, provided by the Hida Kanayama Tourist Association. We ourselves have been searching the Internet for sources of information about Kanayama. What we have learned is that there are other places called Kanayama. Therefore, to zero in on the place where the Kanayama Megaliths are located, please use the term ‘Hidakanayama‘. It is also useful to know that Hida Kanayama is part of Gero-shi (City of Gero) in Gifu-ken (Gifu Prefecture). Weather at Hida Kanayama Train Station can be found here. The Kanayama Megaliths Research Center and the Hida Kanayama Tourist Association are gearing up to welcome international visitors. This entry was posted in Hida, Kanayama, Visiting and tagged Visiting on 2018-04-29 by Okunomichi. 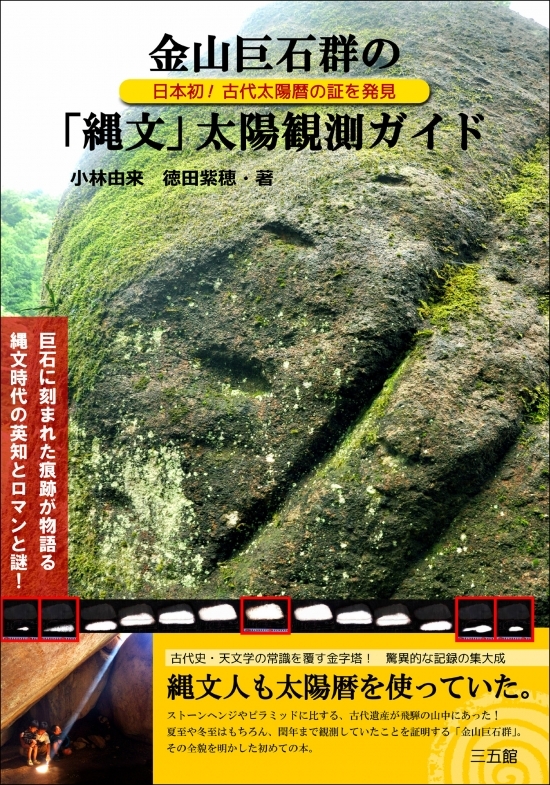 The Guidebook of the Kanayama Megaliths was published by the Kanayama Megaliths Research Center. Copies can be ordered directly from the Research Center. The online shop can be linked here. This linked page is in Japanese, and orders can only be shipped to addresses in Japan at this time. If you are an overseas customer and would like to inquire about placing a large order, you will find contact information at the bottom of the online shop page. This entry was posted in Book, Calendar, Leap year, Seasonal observations, Spotlights and tagged Guidebook on 2018-04-26 by Okunomichi.